Our most popular products are available with a Rock Fibre core. 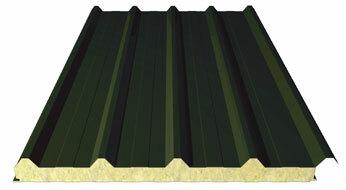 We are able to supply many of our rockwool panels in lengths up to 12.5 meters. We can offer an wide range of external finishes and colours that will enhance your buildings appearance.